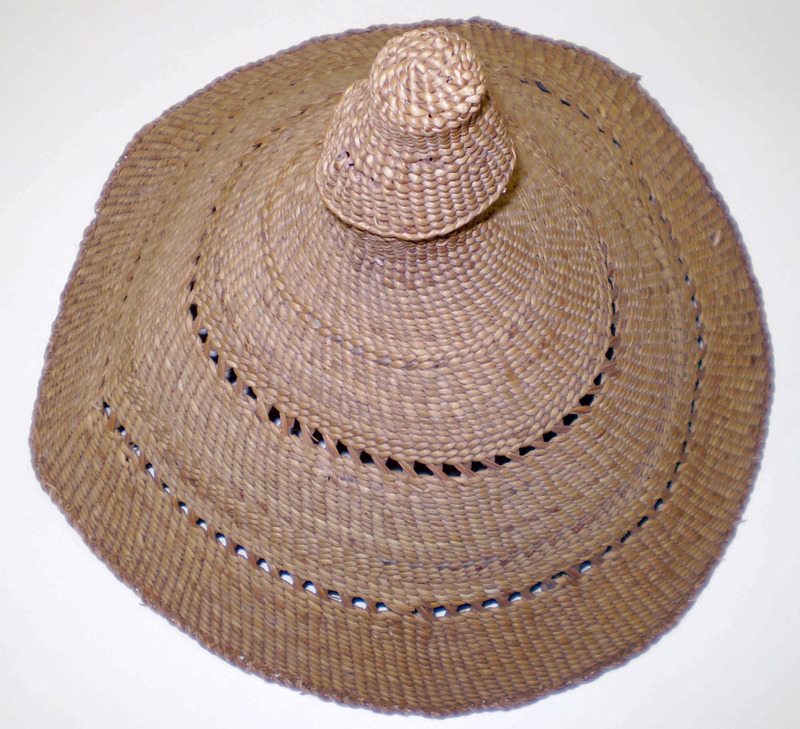 Woven reed sun hat with a large protrusion at the dome indicating that it may be a lid. 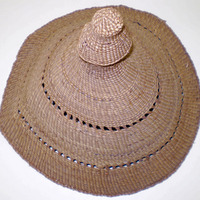 In shape, it resembles an African Fulani sun hat but not in its technique. The shape is also similar to a South African conical hat. There are two patterns of the weave which provide a vent. It also resembles a Makah - Nuu-chah-nulth (Nootka) whaler's hat from British Columbia; 2009 Accession. unknown, . “Pseudo Conical Reed Hat.” Truman Warner Anthropological Collection, MS048. WCSU Archives, 6 June 2018. Accessed on the Web: 24 Apr. 2019.